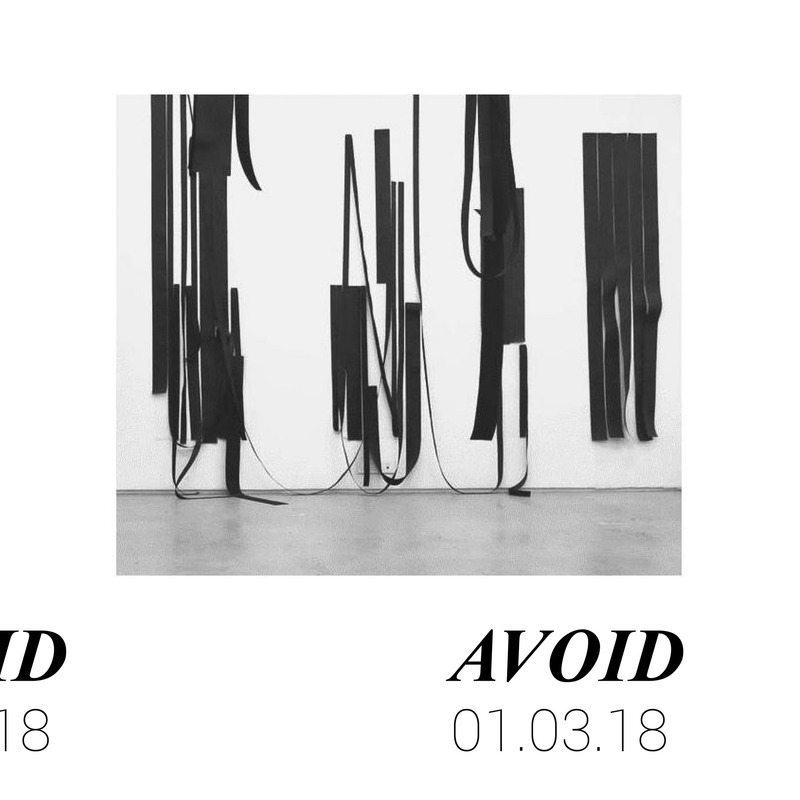 AVOID emerges from material experiments conducted by Mkonto during his residency at A4 (29 January - 28 February). Exploring ways of bringing his drawing practice into 3-dimension, while concurrently manipulating these same materials towards wearable structures, Mkonto intervenes in A4's library to offer an interactive exhibition. Constituted by strips of velcro, participants are encouraged to re-configure the space by disconnecting and reconnecting wall mounted and hanging lines. The residency and the resulting installation form part of the project 'More for Less'.